The first step of removing an ant infestation from your house is to determine the reason that they are entering your house. Once you have determined that, you need to eliminate whatever the reason is, whether it is food, water, housing or any other thing. The next few steps are things that you will have to do over a long period of time. The first is to clean up straight away after meals and remove all of the garbage out of your living area. You need to know that the process of learning how to remove ants from your home involves creating what would be considered to be an “ant-proof living space”. Another easy thing to do is move all of the outdoor trash cans, bins and recycling areas as far as possible away from your home. The closer to your home they are, the more likely it is that you will have an ant infestation. You will also need to tightly wrap all of the food that you put on your kitchen top/counter and make sure that you store it correctly. Not doing this will attract ants onto your kitchen bench, something that is very unsafe. Make sure that you are refrigerating all of the perishable food that is in your house. Perishable foods are things such as fruit, vegetables and meats. It is especially important in the summer as the higher heat makes food go bad much faster. 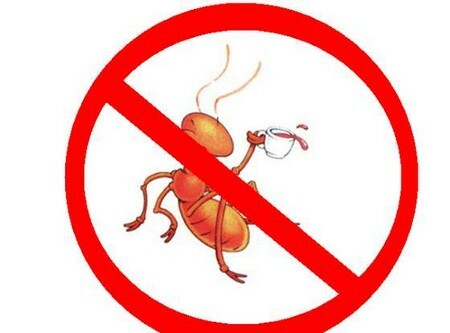 Because of the fact that ants get thirsty, you will have to remove all of the pools of stagnant water. Sealing up cracks is especially important, as if there are no cracks in your house, ants cannot enter. The safest material to use is silicone caulk (preferable pure or 100 percent) as it is the least toxic. Sprinkling things such as paprika, red chili pepper, borax or dried peppermint onto ant trails, entryways and nearby cracks will normally deter ants from coming inside. One of the most important things to do is remove all whiteflies, mealybugs and aphids from your garden. These insects excrete “honeydew” which ants absolutely love. Paint or spray some sort of sticky barrier made from tanglefoot products onto trees and plants. These will act as barriers to prevent ants from trunks and stems to feed. Making a natural ant repellent out of citrus peels and water is very helpful. You should put the peelings and water into a blender and then pour it in and over the anthill. The final thing that you can do is to drown ants by pouring boiling water all over the mounds and into cracks where they live.